Steam weiners in boiling water until hot. Pack into a wide-mouth insulated flask and fill with boiling water. Cover and pack. When ready to eat, heat buttered rolls over barbecue, then combine with weiners. Spread over weiners and serve. 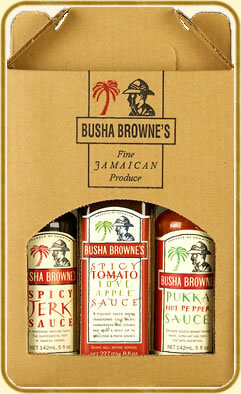 Busha Browne's Tomato Love Apple Sauce is easily integrated with cheeses, biscuits, crackers, hors d'oeuvres and more.